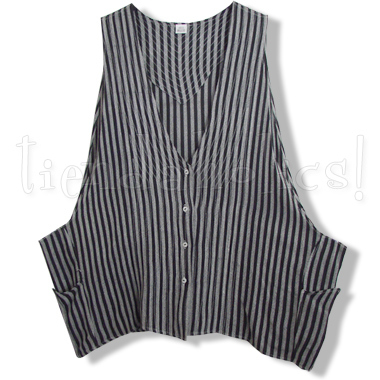 IT'S RARE THAT WE GET THIS SPECIAL STRIPED FABRIC IN STOCK... WHEN IT'S GONE, IT'S GONE! To see details and more photos for the ANKARA VEST, click here.